A 1,998 cc four pot petrol mill which churns out 244.4 bhp of power at 5,200 rpm and 350 Nm of torque in the range of 1,450 to 4,800 rpm. The car can sprint from 0 to 100 kmph in 6.1 seconds. This mill will be available only in the Luxury line trim. A 1,995 cc four cylinder diesel mill producing 185 bhp of maximum power at 4,000 rpm and 400 Nm of peak torque in the range of 1,750 to 2,500 rpm. This engine will be available both in the Sport line and Luxury line trims. The fuel efficiency is claimed to be 21.76 kmpl. Mated to both these engines is an eight-speed automatic gearbox by ZF. If we talk about visual changes, the car gets new LED headlamp and taillamps. The front and rear bumpers also have been brought under the knife. Interiors gain a lot of chrome inserts. The layout can be chosen from options of wood or leather. Safety features include front and side airbags for driver and front passenger along with head airbag for four seats. ABS with brake assist, cornering brake control, dynamic stability control, dynamic traction control and ISOFIX seats. BMW 3 series 320d GT Sport Line: Rs 43,30 lakhs. 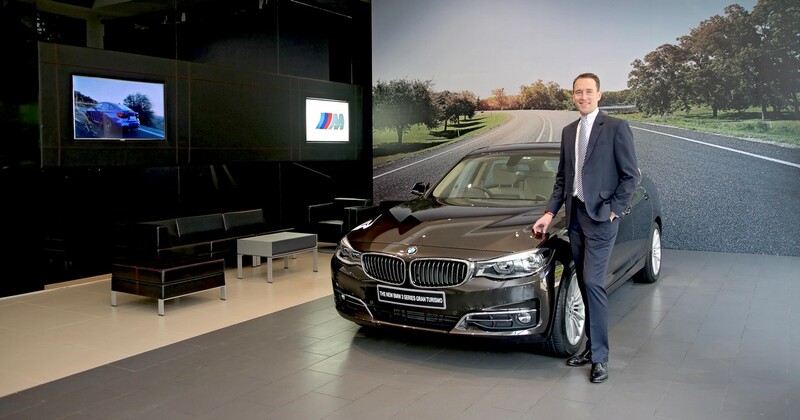 BMW 3 series 320d GT Luxury Line: Rs 46.50 lakhs. BMW 3 series 330i GT Luxury Line: Rs 47.50 lakhs.